well, if I vanish for a few days its because of the hurricane on its way here… I called out of work today thinking that it was going to be here and instead all I did was get a decent day to sit here with myself and do nothing… I feel a bit silly about it … but it could be worse…. oh well, its going to get bad…. wonder how much longer it'll be until we lose power. 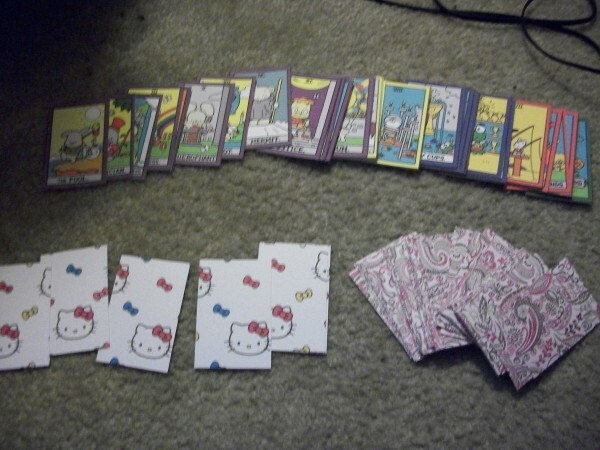 I'm making Hello kitty runes and tarot cards!!!!! They're so cute!! !